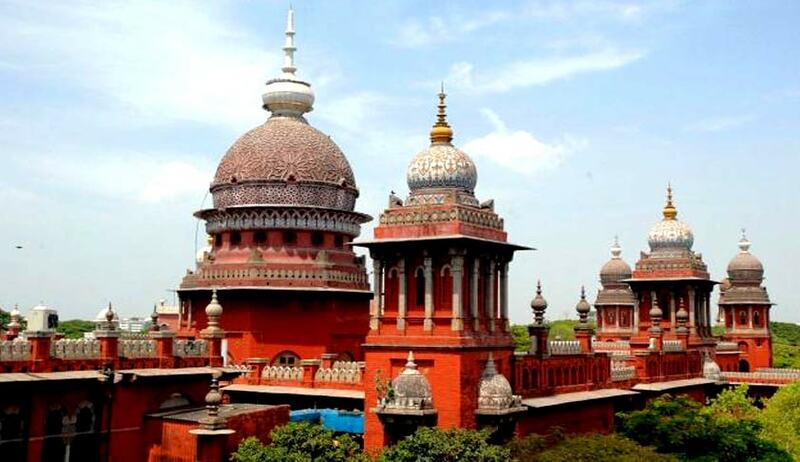 Madras High Court in K.Gopinath vs The Commissioner Hindu Religious and Charitable Endowments and another has dismissed a Public Interest Litigation (PIL) praying to issue a Writ of Mandamus, directing the Authorities to remove the shops around the Palani Temple Hills Girivala pathai run by persons belonging to Islam and other religion in which they are eating beef and insulting the religious faith of the devotees and creating disharmony. The Petitioner (Party-in-person), a practicing Lawyer and President, Hindu Munnetra Kazhagam contented that around Palani Hills, the entire circle of the Holy Hills is used as Girivalapathai. After observing fasting for many days, Hindu devotees will go around Girivalapathai. But the devotees feel uncomfortable to cross the shops housed in the Temple's property, adjacent to Girivalapathai which are occupied by people belonging to Islam and other religion. Occupants of such shops indiscriminately use beef and other non- vegetarian food by sitting in the stairs of Palani Hills and thus insult the religious faith of Hindus of Palani. It is his submission that if the above facts are not checked, they would create religious disharmony. He also contended that persons belonging to other religion have been occupying the shops adjacent to Girivalapathai and eating non-vegetarian food, creating discomfort to Hindu devotees, which is an offence punishable under the Indian Penal Code. “Contention of the petitioner that the temple property, adjacent to Girivalathapathai, are occupied by people belonging to Islam and other religion is unsubstantiated, by even a scrap of paper. The petitioner has not substantiated that people belonging to other religion cannot have any shops in the property”. “The other contention that the occupants of the shops indiscriminately eat beef and other non vegetarian food, by sitting in the stairs of the Palani Hills and insulting the religious faith of Hindus and if the same is not eventually checked, it would lead to disharmony, is not supported by any evidence. The further contention that by eating non- vegetarian food they have created discomfort to Hindu devotees also not substantiated”. The Court also held that “Nowhere in the Indian Penal Code it is stated that eating non- vegetarian food is an offence. There is no law touching eating habits of any religion and in such a view of the matter, the contention of the petitioner that eating beef is an offence, cannot be accepted”.